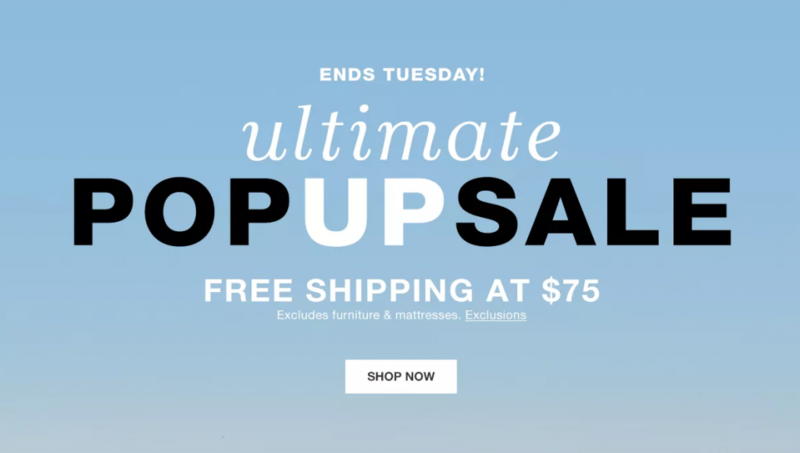 The Macy’s Ultimate Pop-Up Sale 2019 is back, but only through Tuesday! That’s why I wanted to showcase some of today’s top deals, since there are incredible savings in almost every department. We never know when the Macy’s Ultimate Pop-Up Sale will ‘pop up’, but when it does, you want to act fast. I know, you’re used to seeing Macy’s sales on the weekend, but the ultimate pop-up sale typically emerges mid-week, and the March 2019 Pop-Up Sale is no different. In addition to the great deals you can find online today, you’ll also get free shipping at $25. Of course, Macy’s Star Rewards Platinum & Gold members get free shipping with no minimum at any time when you shop with your Macy’s credit card.